Bicheno is located along the Great Eastern Drive on the East Coast of Tasmania. Bicheno Backpackers is an excellent base to explore the surrounding region which includes Freycinet National Park & Wineglass Bay, Bay of Fires, wineries & cellar doors offering everything from wine & beer to fresh seafood. Fairy Penguins grace our shores each night and Natureworld has a variety of native animals including the Tasmanian Devil. There are miles of white sandy beaches to explore on foot directly in and around Bicheno. 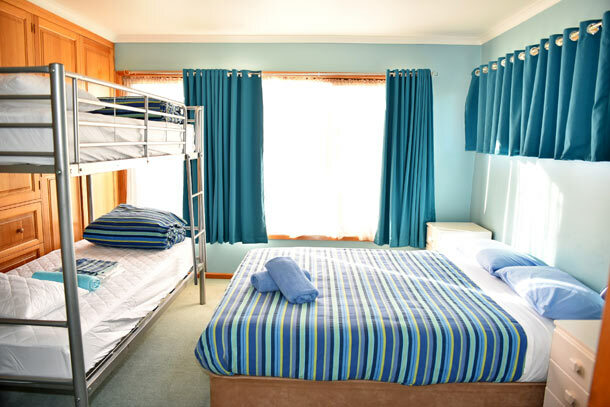 Bicheno Backpackers has a variety of accommodation over 3 properties. A traditional 28 bed bunk house, Two houses with Private Rooms, some with Ocean View & Ensuites. A third property is Southrock Holiday Accommodation which has 3 self-contained units . Bicheno Backpackers supports a variety of groups, configurations and independent travelers. Don’t hesitate to contact us directly with your query. We offer free wi-fi in all areas of all properties. All room types at Bicheno Backpackers have access to shared kitchens, lounges, bathrooms, washing facilities and outdoor area’s. We provide a sleep sheet, pillow case & doona on bunk house beds. In our private rooms with supply linen & towels. At Southrock Holiday Accommodation we supply linen, towels, tea and coffee with your own kitchen, bathroom & lounge rooms. Budget prices that won’t break the bank!